From time to time, we run additional workshops, seminars or events. Click on the image above to enlarge or print. WE'RE FULLY BOOKED but keeping a waiting list in case of cancellations so please get in touch if you're interested. Our 2017 'Been Farming Long?' 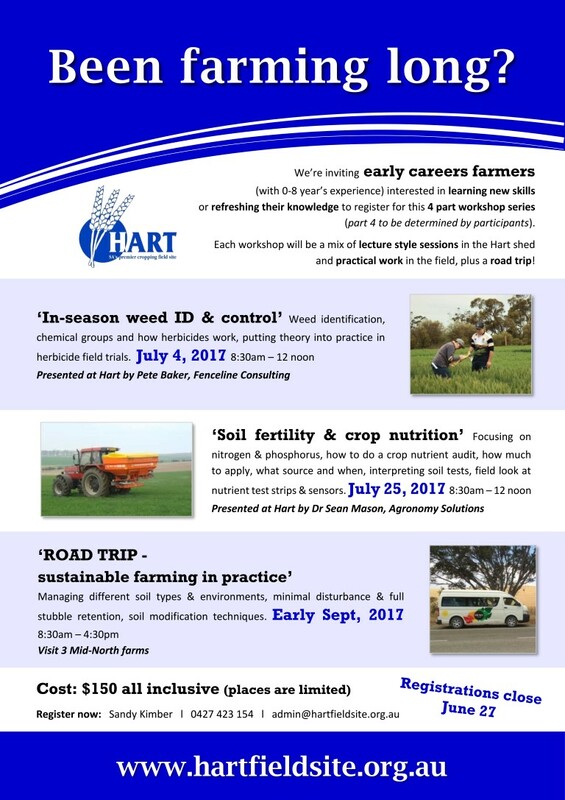 workshop series for early career farmers sold out really quickly and we ended up with a waiting list. 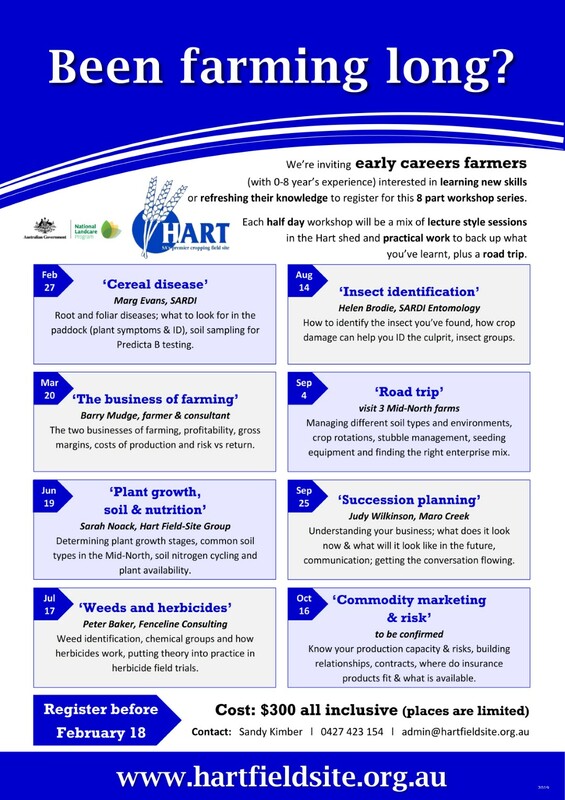 So we're really pleased to be able to offer these workshops to a brand new bunch of early career farmers in 2019 all thanks to new funding received through the National Landcare Program Smart Farms initiative. 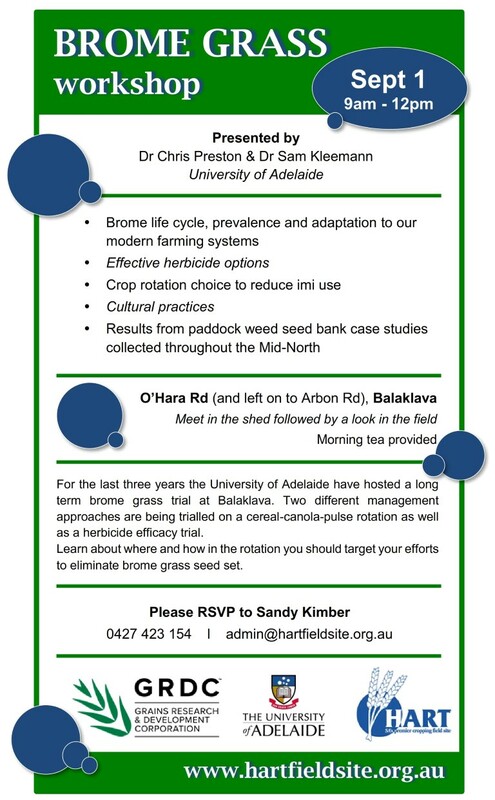 Check out this 3 minute video clip as a follow on to our 'Getting good weed control in standing stubble' workshop. It's been put together from footage taken during the workshop and shows just what we covered. 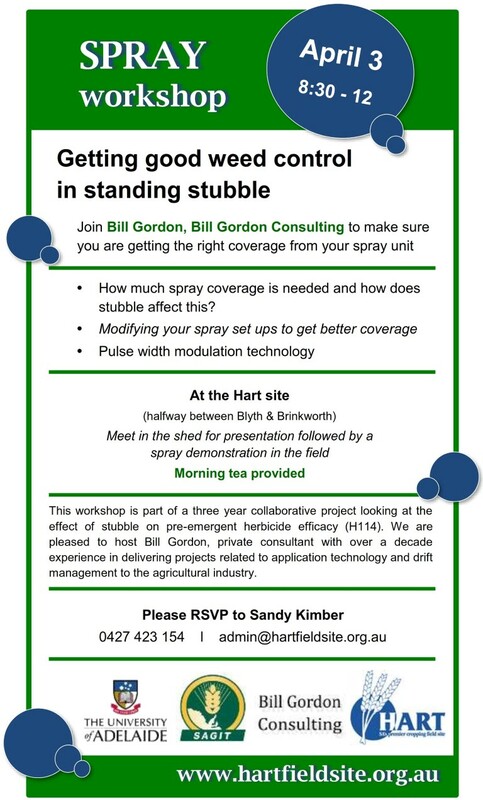 You'll also hear from our R&E manager Sarah, and spray guru Bill Gordon. 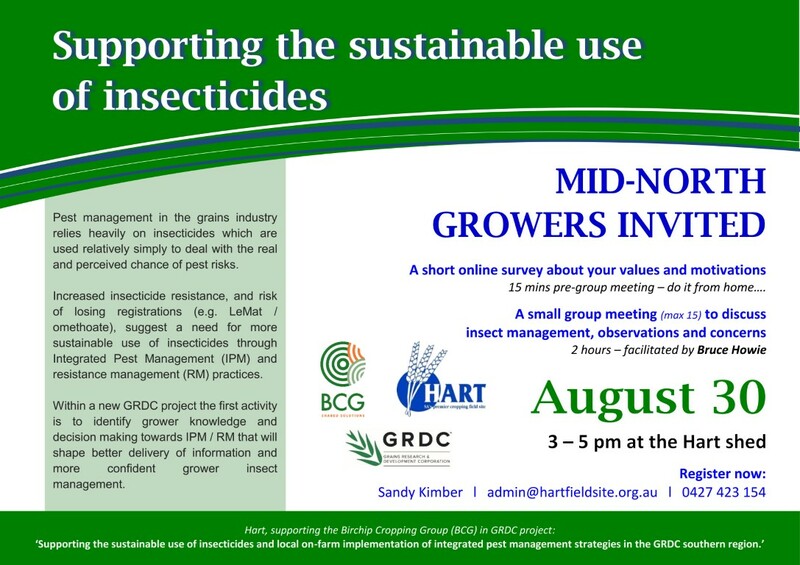 Thank to trial funders South Australian Grain Industry Trust for their support and for making this video available.